Disclaimer: I am one of the co-authors of this book. Its shameless promotion of our own work. Data is becoming important for many enterprises and it has now become pivotal in many aspects. In fact, companies are transforming themselves with data at its core. This book will start by introducing data, its relevance to enterprises, and how enterprises can make use of data to transform digitally. To make use of data, enterprises need repositories, and in this modern age, these aren’t called data warehouses; instead they are called Data Lake. As we can see today, we have good number of use cases that are leveraging big data technologies. The concept of a Data Lake existed for quite sometime, but recently it has been getting real traction in enterprises. This book gives a hands-on, full-fledged, working Data Lake using the latest big data technologies, following well-established architectural patterns. 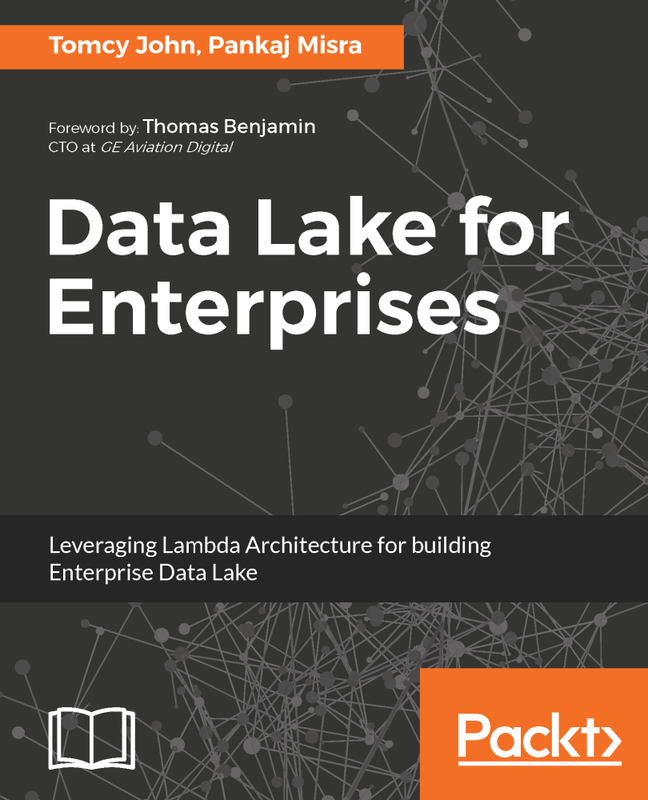 The book will bring Data Lake and Lambda architecture together and help the reader to actually operationalize these in their own enterprise. It will introduce a number of Big Data technologies at a high level, but will not be an authoritative reference on any of these topics, as they are vast in nature and worthy of a book in itself.